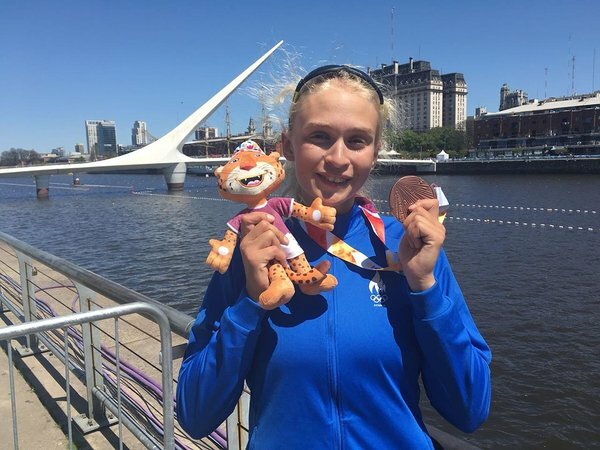 At the Youth Olympic Games 2018 in Buenos Aires today, Greta Jaanson won the bronze medal in Junior Women's Single Sculls. The 18-year-old Jaanson shared in her post-finish commentary that it has been her life's dream to carry the Estonian flag. "It is all so unbelievable! I came here thinking that a place in the top ten would be good but now I have a medal. This is all so unbelievable!" she rejoiced. 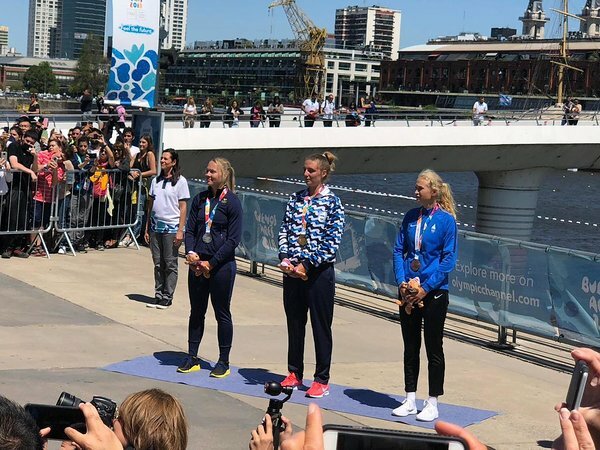 Argentinian rower Maria Sol Ordas took the gold with 1:43.81. Elin Lindroth from Sweden finished second with 1:44.31. Jaanson's time was 1:46.13. In fourth place came Uzbekistani rower Luizakhon Islomova with 1:51.21. The distance was approximately 500m. This is the first ever medal for Estonia from summer Youth Olympic Games. Previously, Rene Zahkna (biathlon) won two silver medals from winter Youth Olympic Games 2012 in Innsbruck. Estonia has the largest ever team comprising 23 athletes to the Youth Olympic Games 2018 in Buenos Aires. Our athletes represent eight sports, which is also a record number for Estonia; moreover, in half of these the country is competing for the first time.